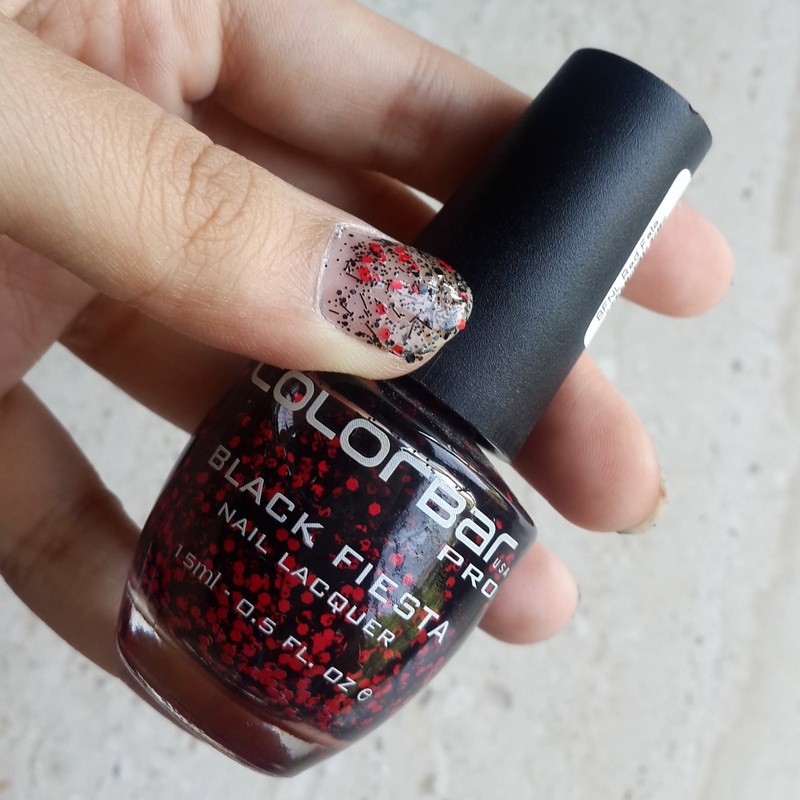 I am always excited when Colorbar launches New nail paint collection. I couldn’t resist trying their new range in Black Fiesta. I personally love Colorbar nail paints I almost get each and every color here. This time Colorbar has launched Confetti/ Polka dots nail paints in 4 different shades. 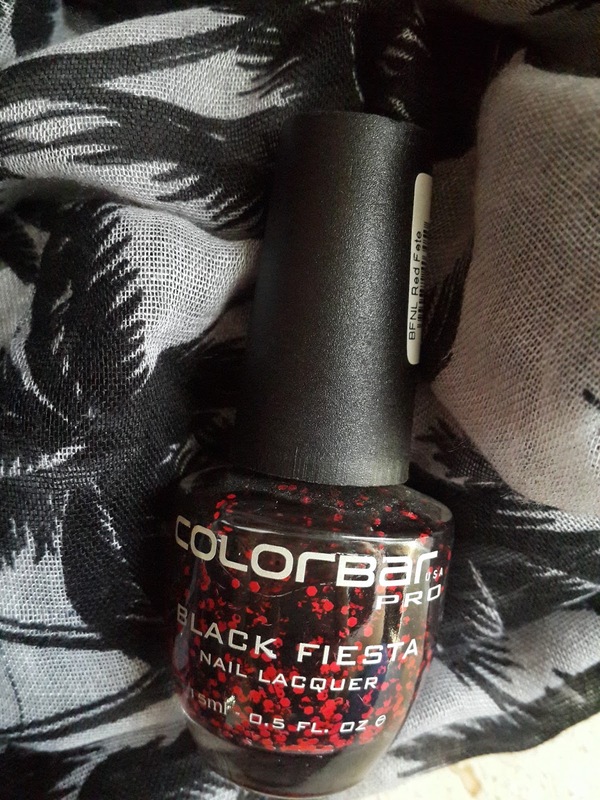 Well no other brand in India has this Colorbar is first to bring confetti/ polka dot nail polish. They come in 4 variants. 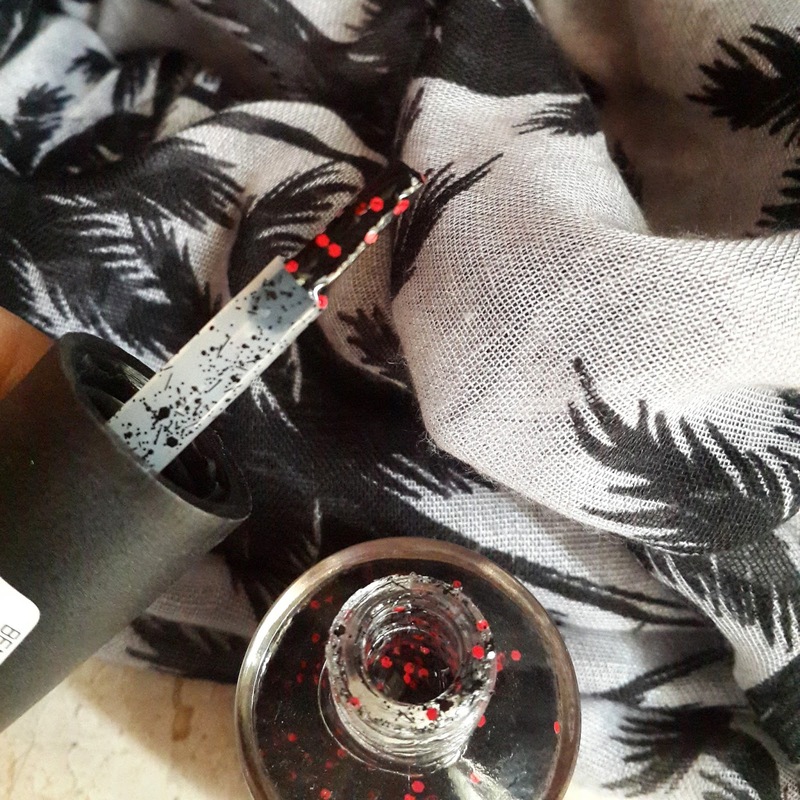 I bought 002 Red Fete which has cherry red polka dots. I wished they had come with small bottles. As this are 15ml big bottles makes it little expensive. RED FETE has a transparent base having cherry color polka dots with black dots and also has small black strips . The formula is good it applies easily on nails. The consistency is proper enough not thick like jelly they give glossy finish to nails. It takes time to get dry more then normal nail paints especially if you going for two coats. I have applied single coat of Red Fete on white opaque nail paint because it looked best on that but you can try with any other color nail paints too. 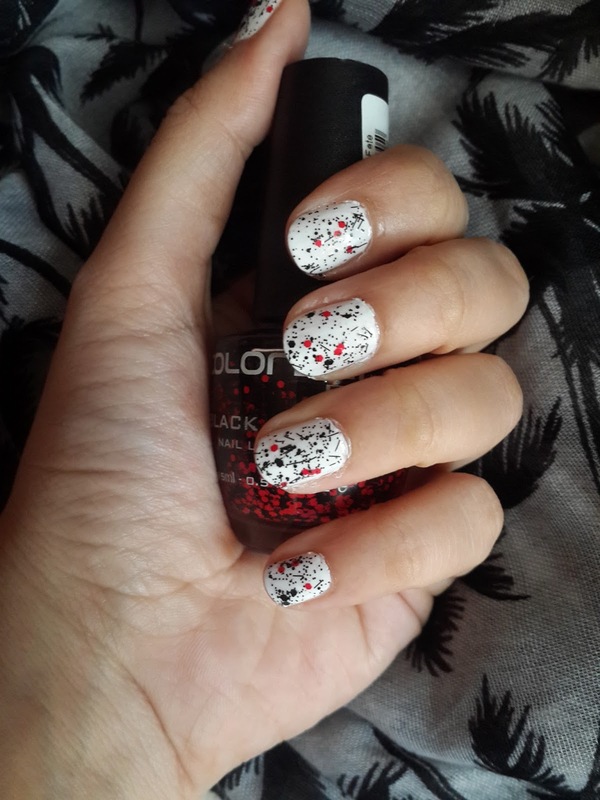 I have also applied this nail paint without any base coat to give a proper idea of it. You can go with two coats to give maximum effect. They can be easily removed with nail polish remover its not as difficult as removing glitter nail paints. I loved using this as its so easy to get such attractive nails but it can be little expensive as the Price is 499/- for 15ml. 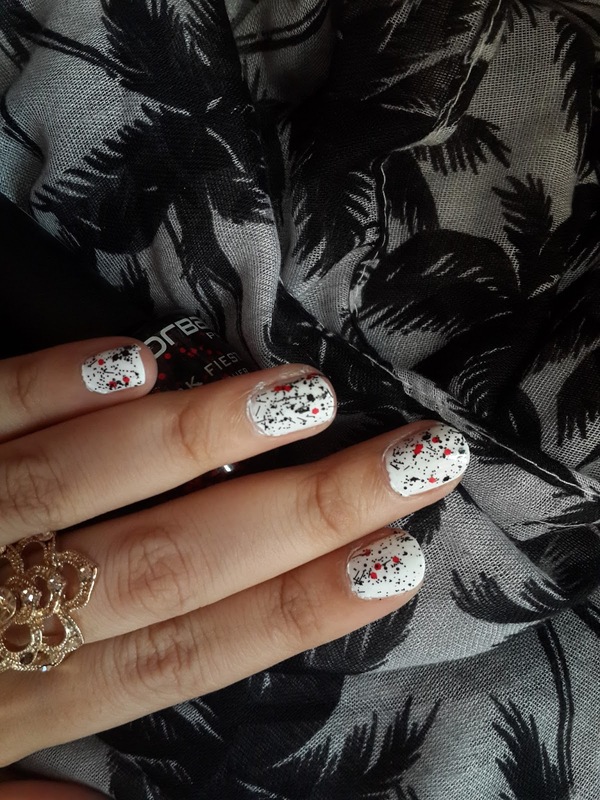 The quality of nail paint is good and it lasted for almost 4 days.